Jane got spayed yesterday, and although she seems to be doing very well, I can also tell that she's very sore, tired, and low-energy. She's shaky as well. I also think she misses Joe and Asha very much. And maybe I do, too. So tonight, after I got home from the school dance and Jane and I went on a little walk, we decided that since things were proving rough for us heroines, our only hope was Jane Austen. 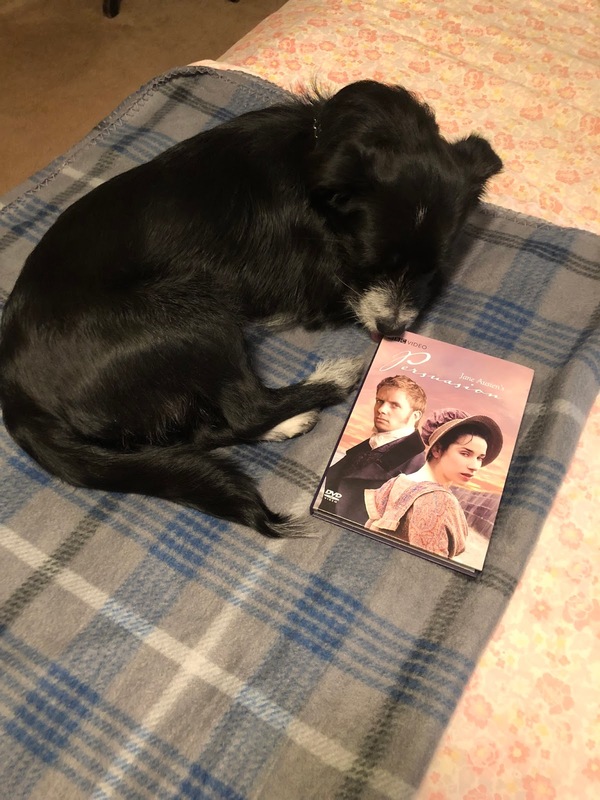 So tonight, right now, we are both lying on my bed -- a treat for Jane as she is not usually allowed up -- and we are watching Persuasion. 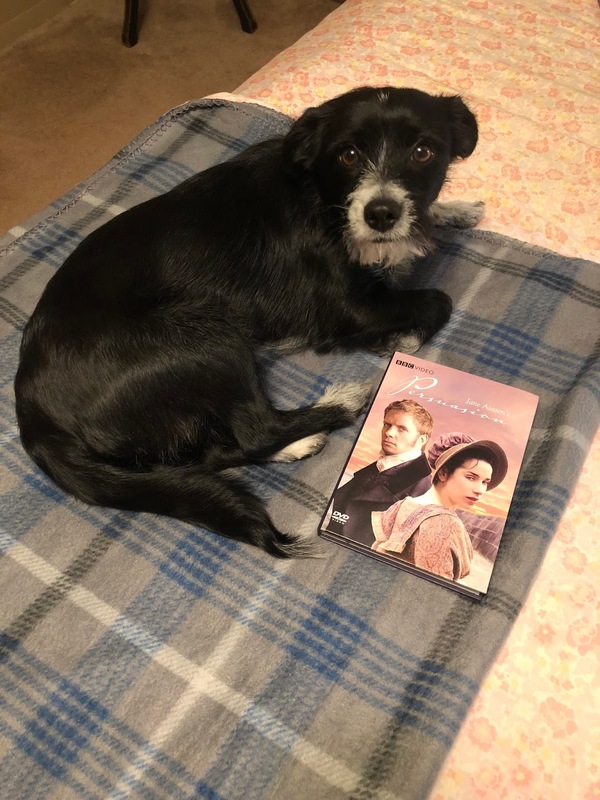 We are forgetting that our bodies hurt and our hearts hurt, and we are letting OG Jane Austen work her magic. It will work. It always does.